Rice and soybean farmer and pharmacist elected to Congress in 1996, succeeding Blanche Lincoln. Conservative "Blue Dog" Democrat, generally opposing abortion, gay rights. Supported the 2002 Iraq war resolution, 2008 GM/Chrysler and Wall Street bailouts, 2009 economic stimulus. Opposed 2010 health care reform. Back-bencher, but made headlines in 2007 for calling Rep Adam Putnam (R-Florida) a "Howdy Doody looking nimrod" on the House floor. 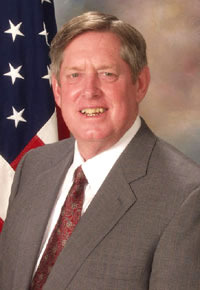 Defeated for re-election in 2010 by Republican Rick Crawford. Not to be confused with former Washington DC Mayor Marion Barry.